"Like living in a piece of jewelry." Photo via metalocus.es Yukio Futagawa in 2008. 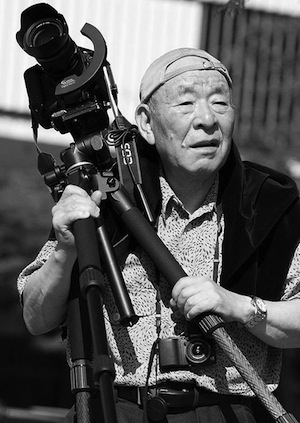 Acclaimed Japanese architectural photographer and founder of Global Architecture (GA) magazine Yukio Futagawa died of cancer on March 5, 2013, at the age of 80. Futagawa spent his 60-year career as a photographer, editor, and publisher, depicting and interpreting the architecture and culture of Japan, as well as the architecture of leading designers from other countries. He worked with many renowned architects and historians, including Christian Norberg-Schultz, Philip Johnson, and Kenneth Frampton. Futagawa published many books of photos expressing the beauty he found in traditional Japanese architecture. He felt these buildings were rooted in the landscape and expressed the wisdom of the builders, who were not architects, and that their beauty came from everyday life. His influential publications include The Roots of Japanese Architecture(1962), Forms in Japan (1963), and Folk Arts in Okinawa (1964). Futagawa also was interested in architecture from around the world. In 1970 he established the Edita Tokyo Company and began to publish a broad variety of architectural books, including a multi-volume monograph of the works of Frank Lloyd Wright and the GA (Global Architecture) series, which include GA, GA Houses, GA Document, and GA Architect. The GA publishing house will continue under the leadership of Futagawa’s son, Yoshio. A native of Osaka, Futagawa studied architecture at a technical school there, and then entered Waseda University in Tokyo. As a college student, he became interested in photos of historic Japanese buildings taken by Yoshio Watanabe. The photos depicted the buildings from unusual angles, allowing the viewer to understand the architecture in a new way. Futagawa was impressed by the modern appearance of the architecture, and he began to study buildings through photography as well as sketching. He learned to take photos by trying to emulate the work of photographers whom he admired. During this time, Futagawa’s interest in traditional Japanese buildings, especially minka (“folk houses”), was piqued by a visit to the historic town of Hida Takayama, as suggested by a professor of architectural history at Waseda. Impressed by the play of light on the heavy timber structure of the Kusukabe and Yoshijima Houses in Hida Takayama, the 20-year-old Futagawa carefully documented the changing light throughout the day in his photographs. He later enlisted architectural historian Teiji Itoh to write texts for what would become the first of many books of Futagawa’s photographs of minka. Minka, Traditional Japanese Houses was published in 1957. The book was successful and Futagawa set out to record minka throughout Japan, spending six years traveling and photographing throughout the country. The result was a 10-volume compilation of Futagawa’s photos of minka from various regions in Japan, along with text by Itoh. Futagawa received numerous accolades for his work, starting with the Culture Award from the Mainichi Publishing Company in 1959. More were to come: from the AIA in 1975, the Japanese Ministry of Education in 1984, the International Union of Architects (UIA) in 1985, and the Japanese Government in 1997 (the acclaimed Purple Ribbon Medal of Honor). He received the Asahi Shojin Prize in 2005.